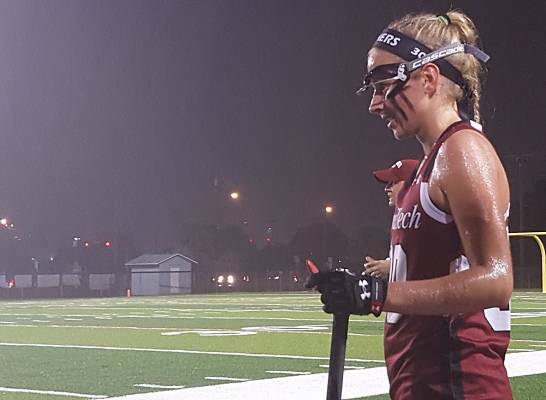 It was a high scoring affair Monday night at Florida Tech Panther Stadium where the Panthers women’s lacrosse team lost to the Scotland National Team 18-17 in an exhibition match. The first half of the game was played with International rules and the second used the collegiate rules. Junior Mollie Kaplan led the Panthers with eight points (5 g, 3 a), junior Aleah Fjelstad had five goals, senior Sam Schiano had two goals and two assists, and junior Alexis Townsend had one goal and three assists. Junior Chloe Zador is now the number one goalie, taking over for Stephanie Stuart who graduated. Zador made eight saves, six of those coming in the first half. NextTampa Bay Lightning Head Coach Jon Cooper Visits His Hofstra Lacrosse Roots!